It’s been a significant period of time since I last covered the work of alt comics artist Katie Skelly here at Broken Frontier. In fact, it was back on the previous incarnation of the site back when I looked at the Sparkplug Books collection of sprawling offbeat sci-fi series Nurse Nurse. In the time since Skelly has gone on to further acclaim with projects like Operation Margarine for Adhouse Books, Tonya (a comics account of the infamous ice skater Tonya Harding), and her Agent comics on the Slutist website. 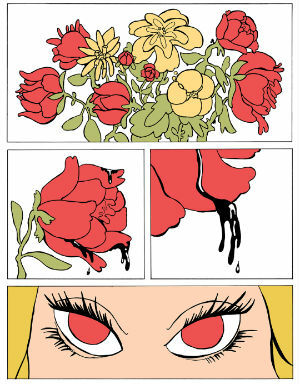 My Pretty Vampire marks her debut book for Fantagraphics and collects the previously self-published series in one handsome hardcover compilation. The titular creature of the night in question is Clover, who has been kept imprisoned by her brother Marcel supposedly to afford her protection from those who would fear her vampiric condition. The reality of the situation, however, is that his true motivations are far more sinister and obsessive in intent. With a retro vibe that combines elements of traditional vampire lore and the excesses of an era of exploitation cinema, My Pretty Vampire is, aesthetically, a fascinating fusion of cute and appealing visuals with uncompromisingly brutal violence. It should feel dissonant and yet there’s something strangely harmonious about these extremes, reflecting as they do two opposing sides of the Clover herself – her naivety and innocence, and her dark primal urges. 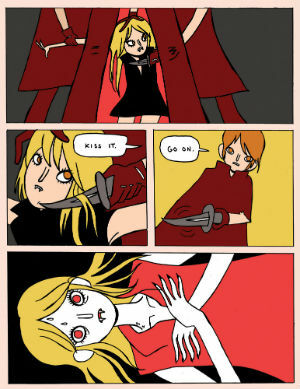 Skelly employs the minimalist but highly expressive cartooning style that we have come to appreciate as a standard of her comics but longer-term fans of her work in print may be intrigued by how she uses colour in My Pretty Vampire to enhance mood and theme. There’s something almost psychedelic about the ever shifting hues in these pages that seem to swamp the reader in the same way that Clover’s own vampiric instincts often engulf her. Kaleidoscopic and hypnotic, colour plays a huge part in creating the allied feelings of sensuality and horror that are the vital core of the book. Of course, the true dark underbelly of My Pretty Vampire isn’t the surface supernatural elements – though Skelly is playful with vampire mythology throughout – but rather the motifs of repression and control that underpin its narrative and the motivations of the story’s antagonist. In that regard individual readers may interact with its pages in very different ways and My Pretty Vampire can be interpreted as both a story representing individual freedom and release and one with a far broader allegorical meaning in terms of social commentary. After her decisive initial actions, Clover does almost take the role of passenger in her own narrative, swept along by events and the situations she finds herself in, and yet that same fatalistic chaos and randomness acts as a powerful thematic counterpoint to the rigid order of her life in Marcel’s “care”. Poetic justice proves to be a staple part of the book’s denouement, echoing the conventions of My Pretty Vampire’s horror comics forebears with a knowing wink in the reader’s direction. 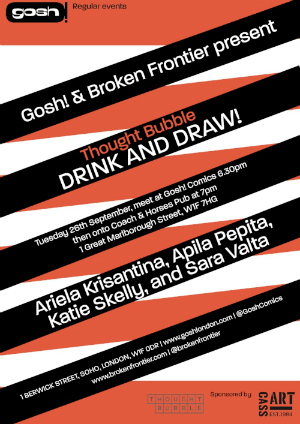 Katie Skelly is a guest at this year’s Thought Bubble and can be found at Table 12 in the ComiXology Marquee. She will also be a guest artist at the post-Thought Bubble Gosh! 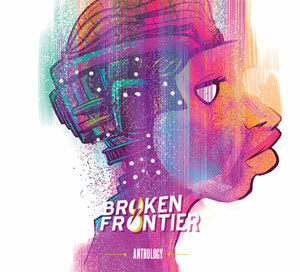 Comics and Broken Frontier Drink and Draw on September 26th. More details here. 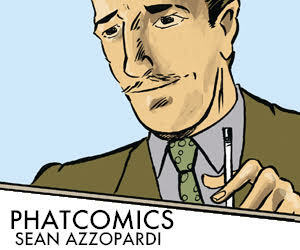 Staff Picks for February 20, 2019 – Hobo Mom, Transmetropolitan, Caballistics Inc. and More!